If you are turning 65 or are over age 65, we’ve compiled a list of resources that may be important to you. Are you 65 or older and in need of information about money, retirement, senior travel, care giving or other senior assistance topics? We’ve compiled a list of links that may answer the many questions you have. It is important to educate yourself and stay up to date on current topics. 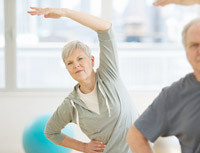 Are you looking for Medicare Insurance help? Medicare Insurance resources tend to be especially complex and confusing. OCmedicare has created a portion of our site to educate and help you through this process. We offer a simple breakdown of Medicare in our Medicare 101 section, a detailed explanation of Medicare Insurance Plans, Medicare Resources and more.